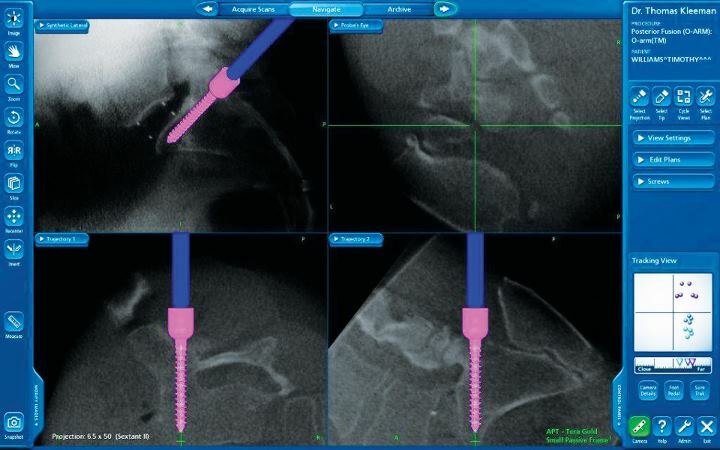 It is well established that the best surgical treatment for chronic intractable low back pain is a spine fusion. The challenge comes from the fact that the spine is in the center of the body and to get there, the surgeon has to go through some other part of the body. That traditionally means incising the muscle and then removing boney elements of the spine. The exposure alone can result in as much as 40% loss of back strength. It is for these reasons that a movement has been gaining momentum in spine surgery known as “Minimally Invasive Surgery” or “MIS”. The concept of MIS is to access the spine without cutting the muscles, thus preserving the body’s full strength potential. One of the most exciting new MIS techniques is the DLIF or “Direct Lateral Interbody Fusion”. This technique requires a small 1” incision along the side of the abdomen allowing a bloodless approach to all levels of the lumbar spine except the lowest level L5-S1. Through this single incision it is often possible to correct complex multilevel deformity such as scoliosis. L5-S1 is blocked from this direct lateral approach by the pelvis and since it is often involved in the pathology requiring a spinal fusion, a small innovative group of surgeons from around the country (including Dr. Thomas J. Kleeman from the New Hampshire Neurospine Institute) have been working together to solve this dilemma to allow L5-S1 to be accessed in a manner similar to the DLIF. This novel technique has been called the OLIF or “oblique lumbar interbody fusion”. The OLIF is done “obliquely” (in front of the iliac crest) which gives direct access to L5-S1 while avoiding the back muscles (posterior fusion) and abdominal structures (anterior fusion). This approach allows us to use a single larger implant providing a larger fusion area and greater stability. Thus far, most of the patients were allowed to leave the hospital within 24 hours of their surgery. As with all procedures performed at NHNSI, we continually review the benefits and indications of this approach. We strive to provide the most effective and least invasive approaches to spine surgery. Our varied specialists provide us with a vast knowledge of techniques so we can bring you, the patient, the best solutions for your condition.